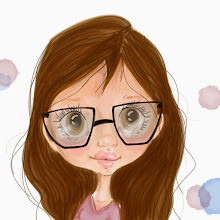 It's Lou in with a post for you again today and I was in a Magnolia Mini World mood!!! Suha has such a great range of them in the shop and I can never resist them. I mean, Magnolia is already cute enough but Mini size?? oh my!! you just can't help yourself!! 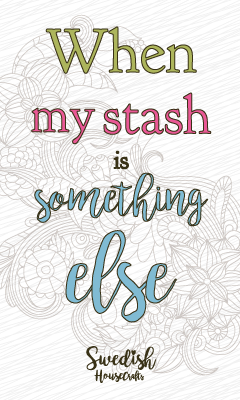 I was also in one of those moods where I wanted to add a few of my favorite purchases from the shop on my card. It felt like a Love/Thankful sort of card. 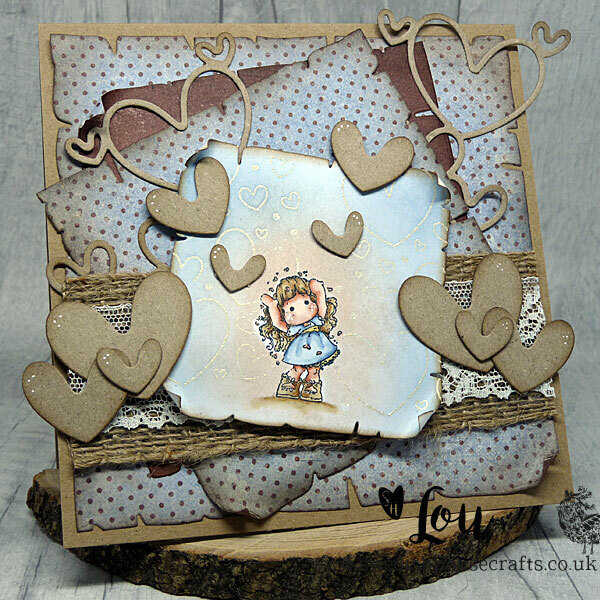 So I masked my little Magnolia Mini World Love Love Love Tilda, pulled out my Gummiapan Worn Hearts stamp and Tsukineko Emboss Ink pad and some gold sparkle embossing powder from my stash to pop in the background - and had some fun heat embossing the hearts behind her. Then I added a little Faded Jeans and Tattered Rose distress ink around her and buffed it off the sparkly embossed hearts with some kitchen roll so they came through perfectly. The matting layers on my card are, of course, Gummiapan Old Paper dies. They are just so pretty and look so effective. All I needed to do was distress ink the edges a little and then roll them around my pokey tool on some of the corners to really get that old paper feel. 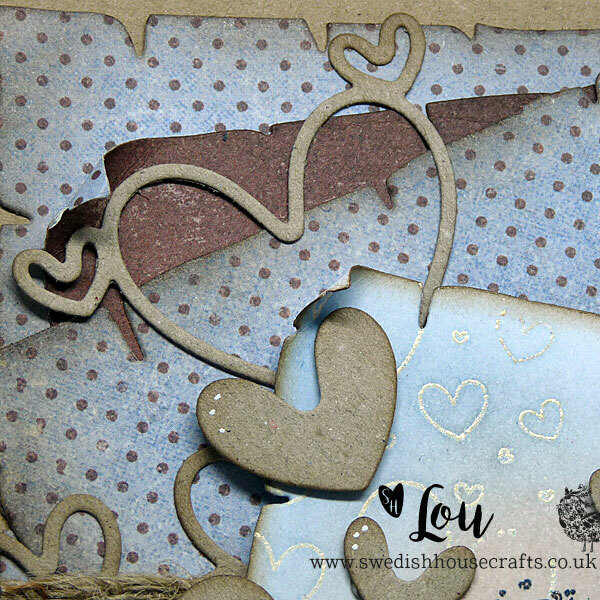 And not forgetting those stunning Gummiapan Integrated hearts die cuts I had done. I can never say enough times " Do not throw away the negative cuts from this die" !! 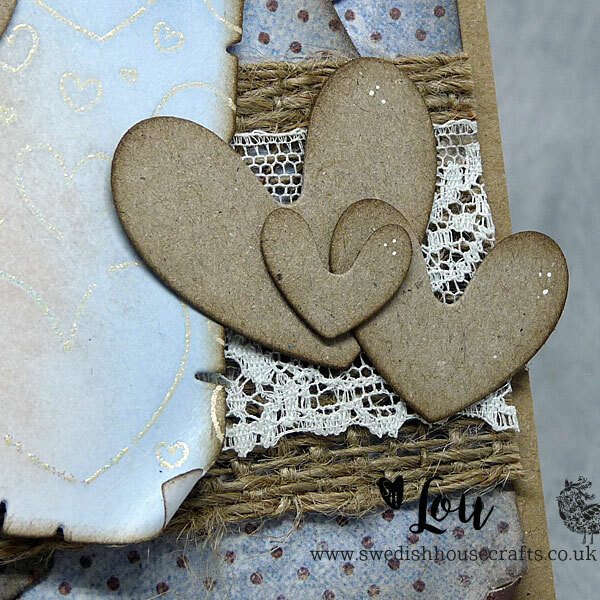 They really do make the most beautiful embellishments to add here and there on your card. I tucked the actual die cuts under my matting layers for a little point of interest and then added the negative cuts around my card. 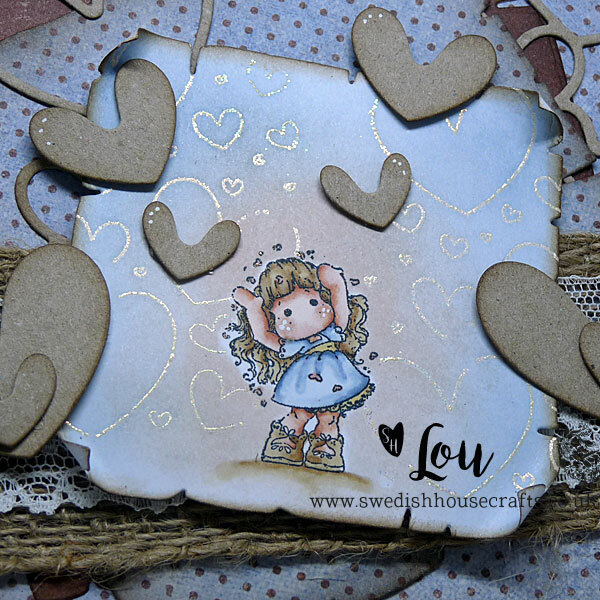 I added some distress ink to the top edges of the hearts and just a few little white gel pan dots to highlight them a little.